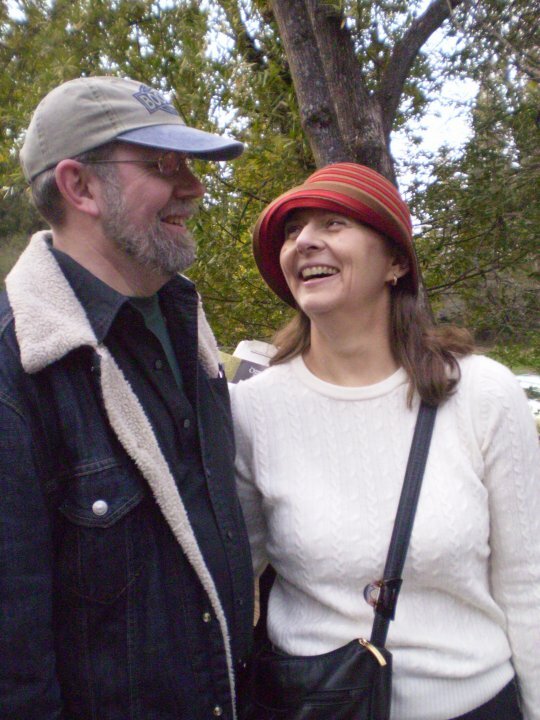 I first met David in 1990, less than 10 years after he had left “Happy Chapel” and moved to Northern California. He was, as he is now, funny, loyal, creative, and a great friend. As I got to know him, it became clear that he was also kind ofangry – about his treatment at the hands of the church leaders he had looked up to. About being sold a bill of goods. About being patronized. About being dismissed. About being made to feel like a wretch. I, being a cool-with-Jesus pantheistic type, was more than a little troubled by this. His wounds at the hands of those who led the ostensibly peaceful and accepting Jesus Movement made him extremely wary – almost hostile – toward anything that looked vaguely religious, including some of my spiritual practices. I remember encouraging him to figure out how to let some of that anger go, but I could offer no useful suggestions as to how to go about it. Little by little, I came to realize that, although many of his memories of his Jesus days were very painful, some were sweet, profound, funny, and worth preserving. And the more distance he got from those days, the sweeter and funnier the stories got – even to him. One fateful evening, he shared his tales of puppetry, twisted biblical interpretation, and pants wetting to the right people (Thanks Dan and Julia!) and got the encouragement he needed to start writing a play. Art has the power to heal. David is proof of that. In the process of writing his story – first in a newspaper article and then as a play – and presenting it to larger and larger audiences, David has openly faced the sadness, frustration, and anger that marked his young life. And through examining his past and once deeply-held beliefs, he has been able to reclaim a lot of what was good about his personal history. That good was evident in the way he and his brothers cared for their mother at the end of her life. It’s evident in the liberal and inclusive values he gave to his children. And it’s evident in the curmudgeonly but heart-felt way he has come to embrace the liberal Unitarian Universalist congregation that we now call home. I think the world needs this story – both the story on the stage and the one behind the scenes, the one 10 years and a lifetime in the making. It’s the story of how one man turned his travails and hurts into art.